The Los Angeles Corral of Westerners, founded in 1946 as an affiliate of Westerners International, is an organization dedicated to the study, preservation, and dissemination of knowledge relating to the rich history and culture of the American West. 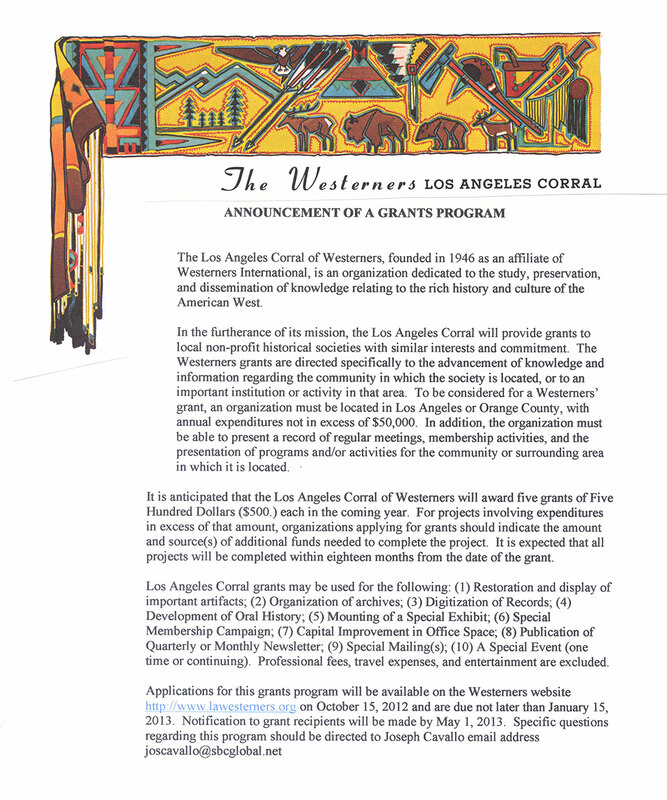 In the furtherance of its mission, the Los Angeles Corral will provide grants to local non-profit historical societies with similar interests and commitment. The Westerners grants are directed specifically to the advancement of knowledge and information regarding the community in which the society is located, or to an important institution or activity in that area. 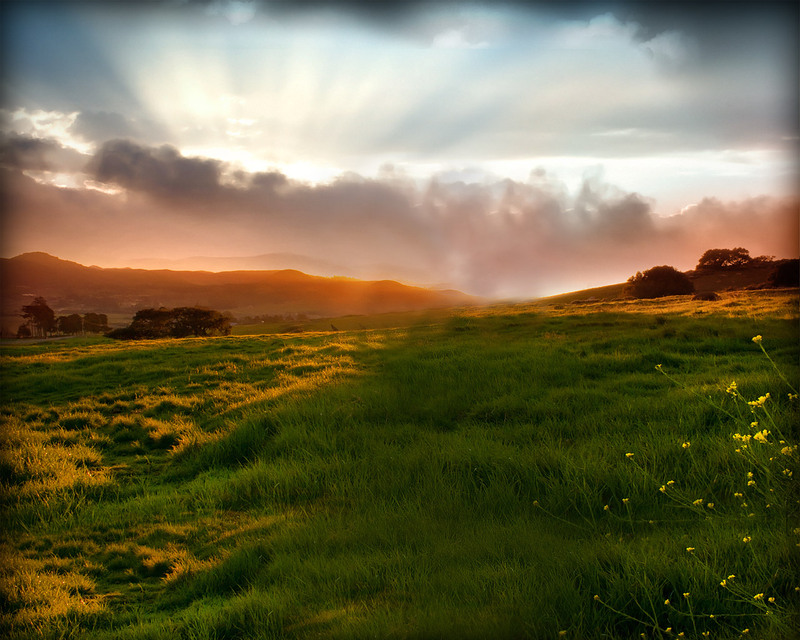 To be considered for a Westerners grant, an organization must be located in Los Angeles or Orange County, with annual expenditures not in excess of $50,000. In addition, the organization must be able to present a record of regular meetings, membership activities, and the presentation of programs and/or activities for the community or surrounding area in which it is located. It is anticipated that the Los Angeles Corral of Westerners will award five grants of Five Hundred Dollars ($500.) each in the coming year. For projects involving expenditures in excess of that amount, organizations applying for grants should indicate the amount and source(s) of additional funds needed to complete the project. It is expected that all projects will be completed within eighteen months from the date of the grant. Los Angeles Corral grants may be used for the following: (1) Restoration and display of important artifacts; (2) Organization of archives; (3) Digitization of Records; (4) Development of Oral History; (5) Mounting of a Special Exhibit; (6) Special Membership Campaign; (7) Capital Improvement in Office Space; (8) Publication of Quarterly or Monthly Newsletter; (9) Special Mailing(s); (10) A Special Event (one time or continuing). Professional fees, travel expenses, and entertainment are excluded.